No matter where you live, there are costs involved. At home, you may have a mortgage, yearly taxes, utility costs, and then of course, maintenance, ranging from keeping all your appliances working, to taking care of the outside of your home. When you move to a retirement community, many of these costs are included in the monthly fee. Kendal-Crosslands Communities is a Life Plan Community, where providing for your long term healthcare needs is part of the contract. Part of your monthly fee covers the costs of healthcare and your long term care, which makes a portion of each month’s fee tax deductible for many people. That’s something important to note, and to compare when comparing fees between retirement living communities. In many fee-for-service communities, there are attractive monthly fees when you move in, but costs can escalate and can even double from the initial monthly amount as you require more care over time. If you and your family haven’t budgeted for this cost, there could be problems as care needs expand. What seemed like an affordable option can quickly deplete your assets. 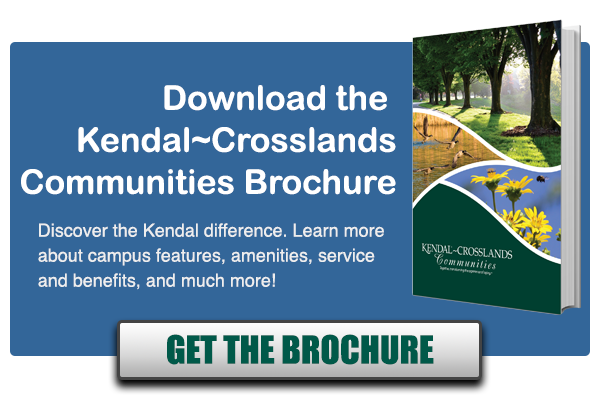 At Kendal-Crosslands Communities, your care is already factored in to your monthly fee. While fees do increase by a small percentage, less than 3% a year, to keep up with rising salary, utility and food costs, you will never have to pay additional fees above your monthly fee for higher levels of care. That means when you may need to move to our personal care or skilled nursing areas, there are no additional fees- you pay your current monthly fee only. With per diem rates for skilled nursing care beds running $12,000 a month or more, you can easily see how a Life Care Contract provides you peace of mind and protects you from unexpected costs if you have health concerns. At Kendal-Crosslands Communities, the entry fee along with monthly fees are structured to cover both your long-term care as well as monthly expenses, covering linen service, housekeeping, maintenance, access to all of our services and amenities and a daily meal (a flexible meal plan is also available). That means there are some tax advantages for making a portion of your entry fee tax deductible in the year it is paid, and a portion of your monthly fee may also be tax deductible on an ongoing basis. Your entry fee and monthly fee are determined in part based on the size of the cottage or apartment you choose. You can see the range of entry fees and monthly fees for our community by clicking here. Regardless of the size of home you choose, the guarantee of Life Care is a part of the contract, and you’ll never have to worry about running out of assets. That means peace of mind for you and for your family over time. In fact, many of our residents have chosen a Life Plan community for themselves based on the experiences they have had caring for older relatives themselves. By choosing a Life Plan community like Kendal-Crosslands, you get more control over your own care while ensuring your children don’t have the same worries so many do about their aging parents. 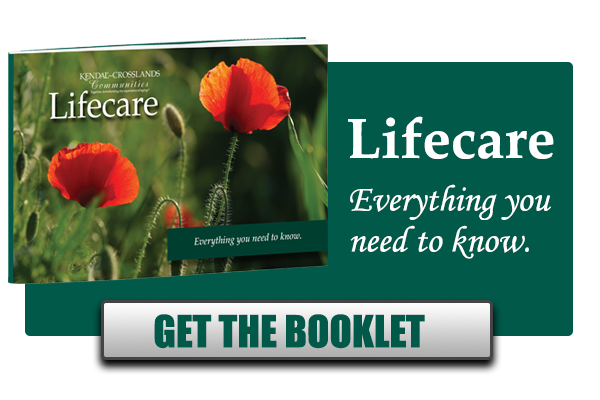 If you’d like to learn more about Life Care, just click the button below to get our free Guide.